Of all the interesting scenes in and around St. Paul's Xcel Energy Center last week, local Chabad Rabbi Mendy Carlebach's exchange with a reporter from al-Jazeera may take the cake. 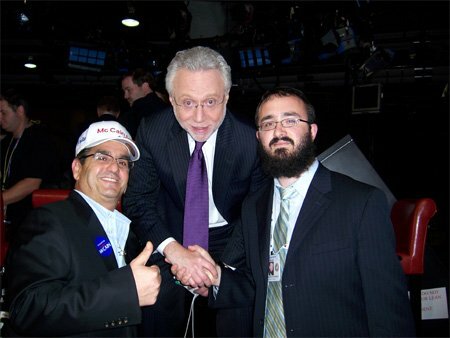 "I met many people there, but by far the most interesting person that I met was an Israeli journalist that works for al-Jazeera," Carlebach said. "We had a long conversation, he removed his credentials, and then we put on tefillin." 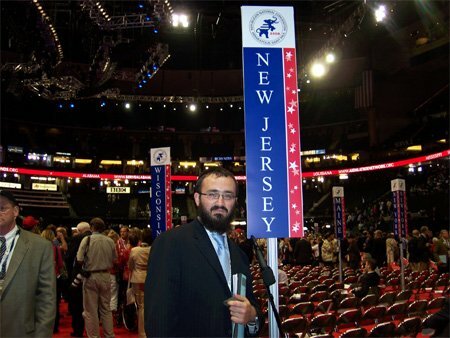 Carlebach, the spiritual leader of the Chabad Jewish Center of North and South Brunswick, served as a chaplain at the Republican National Convention. He said he felt that meeting the journalist and getting him to perform the mitzvah of tefillin was his whole reason for coming there. "It was the highlight of the convention for me," Carlebach said. Carlebach serves as chaplain in the South Brunswick Police Department and as the Jewish Chaplain in the Federal Bureau of Prisons in New York City. Also, in 2004, he served as a chaplain at the Republican National Convention in New York City. Carlebach said he was contacted by the government to serve as a chaplain in Minnesota, but he wasn't quite sure if he wanted to go out there. But he accepted, and said his goals to accomplish while there were outreach, mentoring and getting Jewish conventioneers to don tefillin. 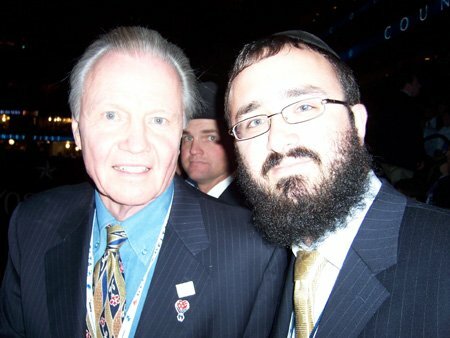 "I was meeting Jews and non-Jews throughout the convention and I was constantly busy," he said. "Also, I met Jewish journalists from Italy." He said it was great being there seeing the speeches, meeting many different people, but most importantly helping and spreading outreach to Jewish people. He said Palin and McCain spoke wonderfully and elegantly, however he wasn't at the convention with a political agenda. "I was here as a chaplain and a rabbi and to do as much outreach as possible during my time there," he said. He said everyone was interested in meeting him and saw it as a great opportunity to not only meet him, but to put on tefillin with him as well. 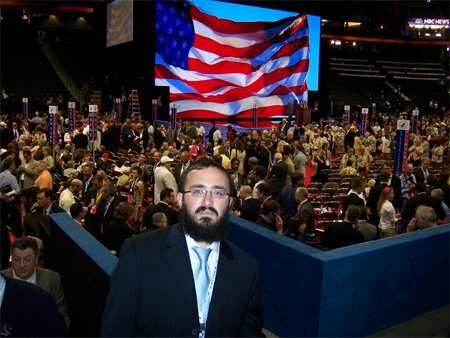 "Many people, when they saw me said "Wow, what is a Chabad rabbi doing here?' They really didn't expect to see me," he said. Carlebach said, at the 2004 convention in New York City the dynamics were very different, but this year's convention in Minnesota was still wonderful and a great experience. "I have met many wonderful people here and many Jews from all over the world," Carlebach said. 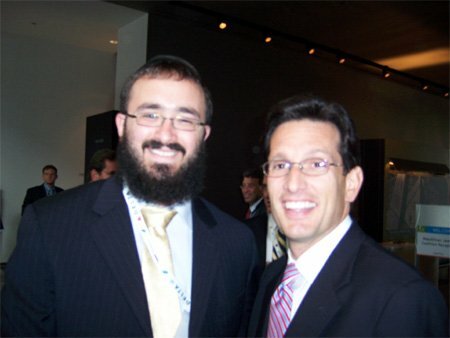 Throughout the convention the rabbi spent a lot of time with members of the New Jersey delegation, he said. 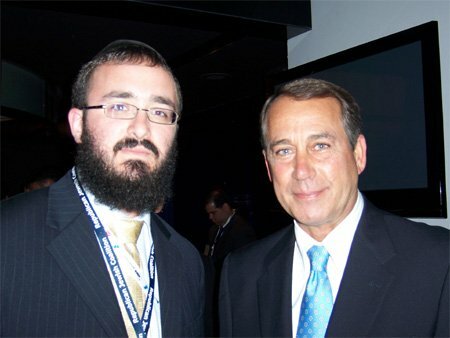 "I really wanted to get to know people from the New Jersey delegation," Carlebach said. Carlebach said he met two men from the New Jersey delegation who expressed interest in wanting to join a shul where they felt comfortable with the rabbi. "The three of us talked for a long time and I really enjoyed meeting them, but more importantly, they are going to come to my shul in a few weeks," Carlebach said. He sat next to many interesting people during the convention and one of them was McCain's financial advisor. "He said to me that if McCain was elected, I was invited to the Hanukkah dinner at the White House," Carlebach said. 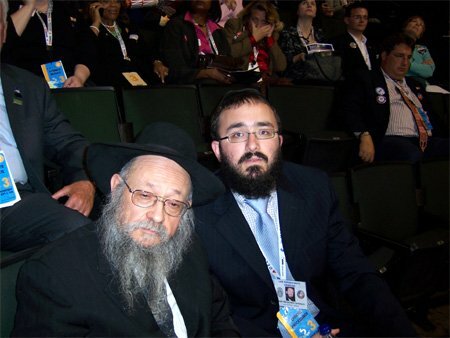 Throughout the convention, many people were happy to see a Chabad rabbi, especially people from the southern states, Carlebach said. 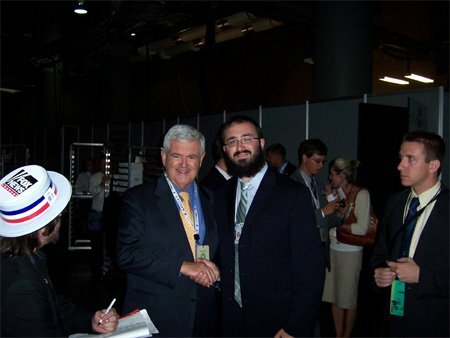 "I put tefillin on with every person possible to the last minute of the convention, which was really what I did most of the convention," he said. Everyday, Carlebach was able to make minyan for mincha and maariv, he said. 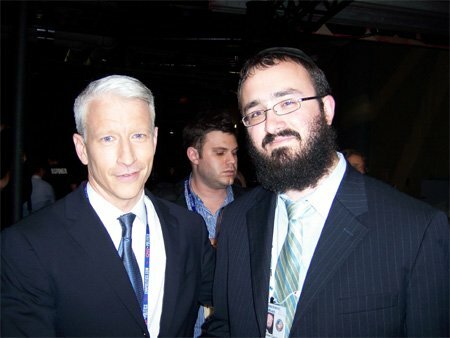 "I really feel that I brought the Jewish angle to the convention," he said. The whole convention was just a positive experience, he said. "More importantly, I'm really happy that I brought the yiddishkeit to Jews and non-Jews that attended the convention," Carlebach said.